Paul & Steve open up the first clue to find teams must fly to Paris, France. Both they and Michelle & Jo just make a flight getting them in at 4:25pm. Joseph & Grace, Sticky & Sam, Lucy & Emilia and Shane & Andrew hop on a flight getting them in at 5:55pm. That leaves James & Sarah on a flight getting them in at 9:25pm. Paul & Steve and Michelle & Jo arrive in Paris and must head to the famous Le Cordon Bleu where they find the Road Block. In this Road Block, teams will have to bake a batch of soufflés and gain approval from Le Cordon Bleu’s director to get their next clue. Steve and Michelle go to sign up for one of two classes, one at 9pm the other at 10pm, during which they’d start baking. The 2nd flight arrives and Lucy & Emilia and Joseph & Grace are the teams that sign up for the first class. At 9pm, Steve, Michelle, Lucy and Grace head into the kitchen and follow a list of fifteen directions to begin making their soufflé. Steve gets his batch into and out of the oven first and they don’t look very fancy. He takes one of the soufflés to the director who points that out, but it’s tastes good, so he hands Steve the next clue. Teams must now head to Rungis Market, the largest wholesale food market in the world covering over 230 hectares, where they must find a shop and a man named Jean Marie who’ll give them a 30 kg wheel of cheese. They must deliver the cheese, undamaged, to the Alléosse cheese shop in exchange for their next clue. Paul & Steve head off with Lucy & Emilia close behind them. Michelle is the next to bring her soufflé to the director, but he tells her it’s undercooked. She goes back to the kitchen and has enough mixture left for two soufflés. This allows Joseph & Grace to get ahead in 3rd. Michelle’s next soufflé is given the thumbs up and they leave 4th. Andrew is next and the director tells him his soufflé is #1 for the night as he and Shane leave next with Sticky & Sam close behind. Sarah quickly finishes as well and now all teams are heading to Rungis. At the Marketplace, Michelle & Jo, Paul & Steve and Lucy & Emilia head to Jean-Marie’s cheese cellar and collect their cheese one after the other. Joseph & Grace beg their taxi driver to wait for them, but he doesn’t want to. They, Shane & Andrew and Sticky & Sam head down into the cheese cellar. James & Sarah tell their driver to wait as they head inside and catch up to the others just as they are heading out to the taxis. With no taxi for them, Joseph & Grace decide to steal one of the ones waiting and it happens to be James and Sarah’s. 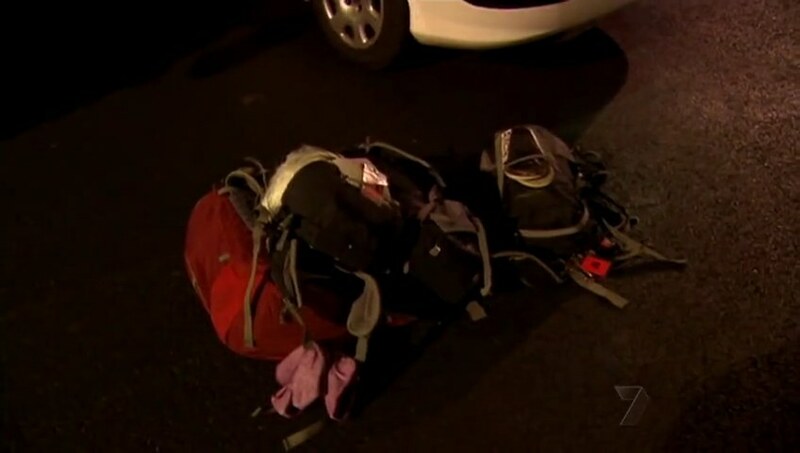 They convince the driver to take them instead and they grab James & Sarah’s backpacks from the trunk and dump them out on the ground. James & Sarah arrive just as Joseph & Grace are getting in. Sarah tries to fight for their taxi, but James stands by and tells her they need to just go. The taxi drives off and Sarah is upset James didn’t do anything to stop them. Grace says she wouldn’t have stolen Sticky & Sam or Shane & Andrew’s taxis, but since it was James & Sarah, she was more than happy to because she doesn’t like them. James & Sarah head to a pub where they can have someone call a taxi for them and they begin arguing. At the cheese shop, the first three teams arrive and they get the next clue pointing them to Debilly Footbridge where they would look for a painter with their next clue. Michelle & Jo find the painter first and they open the clue to find out teams must now fly to Havana, Cuba! The sun is beginning to rise as Shane & Andrew enjoy a walking tour through Paris and Sticky & Sam and James & Sarah deliver their cheese. Those last four teams have a strangely difficult time getting to the bridge. Paul & Steve, Michelle & Jo, Lucy & Emilia, Shane & Andrew, and Joseph & Grace make the first flight to Havana, arriving at 3:10pm. After telling them about Taxigate, James & Sarah and Sticky & Sam get on a flight arriving at 5:50pm. Once in Havana, teams have to choose one of the classic cars parked outside the airport and drive themselves to the Tropicana Nightclub. Paul & Steve seem to have no trouble driving off, but the other teams aren’t even sure how to start their cars. Michelle & Jo get some local guys to give them a push, while Lucy & Emilia switch cars. The teams drive into the night. Shane & Andrew don’t know how to open the trunk, but they open the hood instead and can’t close it again. It start rising up as they drive until it completely covers their view of the road. Joseph & Grace meanwhile get stuck in the middle of an intersection. Sticky & Sam are lost while James & Sarah stumble upon a taxi driver who will lead them to the Tropicana. Paul & Steve get to the Tropicana and find the head showgirl who gives them the clue telling them to head to the Pit Stop, the Hotel Nacional. Michelle & Jo are close behind, but stall and need another pushstart. They also invite a man to ride with them to the hotel. Paul & Steve arrive at the Mat and Grant tells them they’re the first team to arrive and they’ve won… “the right to keep racing.” He hands them the next clue and they’re off. Michelle & Jo arrive right after. Back on the road, the other teams are in strife. Shane & Andrew get stuck in the middle of the road, while smoke starts billowing out of Joseph & Grace’s car. But probably in most strife was Lucy & Emilia, whose car stops right on the train tracks. Wow! What an episode! This was a pretty exciting episode in spite of probably the worst leg design I’ve seen in a long time! Haha. Again, I absolutely LOVE legs that take place at night. So that leg in Paris, plus the good tasks made for a great episode already. 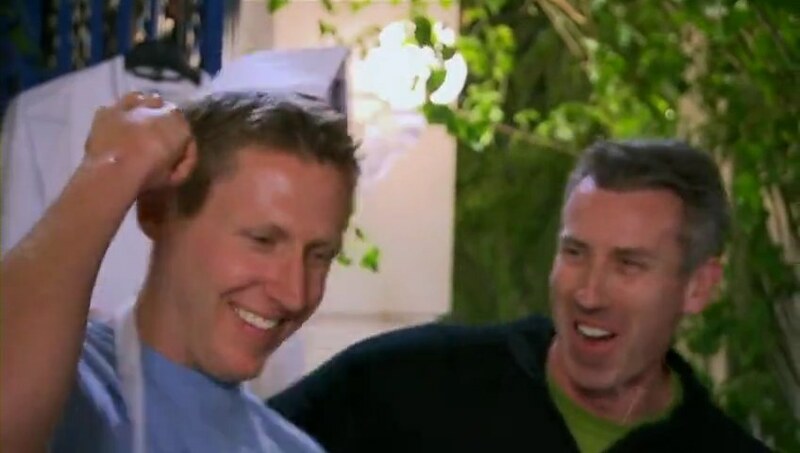 Great to see Paris on TAR again. Then the teams driving around, in classic cars! And getting stuck in ’em in the dark was awesome too. Now the surprising flight to Cuba in the middle of the leg was suspicious and had it not been a TBC leg, would’ve been one of the worst decisions any TAR has ever made. But it being a double leg, having the trans-Atlantic flight when they had it was alright and actually kind of a good idea. Going to Cuba itself is pretty cool and probably something TARUS would never do. So it was definitely refreshing. First Israel last year and Cuba this year, TARAu definitely has the advantage in going to new countries. If it were TARUS going to Cuba and the Tropicana club, there would probably be some kind of I Love Lucy task which would be AMAZING. I would love that. And finally, TAXIGATE. Now, I’m pretty iffy on taking another team’s taxi. And usually when teams try to do it, the driver ends up not wanting to anyway. But here, the fact that Joseph & Grace actually grabbed Joseph & Sarah’s stuff out of the trunk and dump all their crap on the ground was over the line. You can’t mess with other people’s belongings. The driver played a part too for actually accepting Joseph & Grace’s proposal, but Grace having no remorse over such dirty gameplay was hilariously ironic considering the way she’s been railing against Paul (who hasn’t done much of anything to her in the first place). If I were Sarah, I’d have forced my way into the taxi and sat on Joseph & Grace to the cheese shop or until they decided to get out. But great drama eh? The episode was full of laughs and high drama and I was an epic two-continent episode. Yay for TBC/double legs too. Sarah & James – They’re my number one team right if only for Sarah. She’s awesome. Her fire and determination and not taking crap from other teams is great to see on the Race. Despite Taxigate, I think both her and James are very competitive and again, the fireworks between them is great fun to watch as well. Paul & Steve – They’re finally getting in a groove and they’re not letting up. Even with the cross-Atlantic flight, they still maintained their place at the top. I think Paul’s bravado is backed up now. 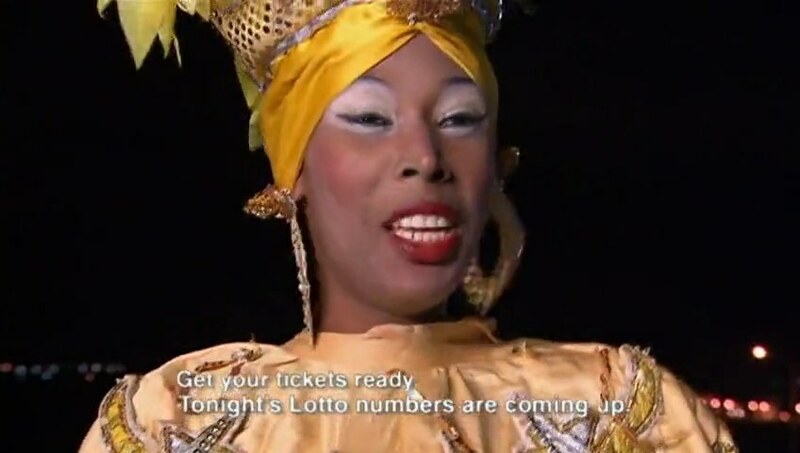 Though I hope they don’t win every leg. As we’ve seen in TAR20, that’s no fun. But I would like to see them in the final leg too. Lucy & Emilia – They finally got ahead! It was about time they finally pulled themselves out of the bottom. This whole Race, they’ve been benefitting from other teams’ costly mistakes, but I think with less teams now, they’re starting to step it up, however little. And they’re still fun. Michelle & Jo – They and Paul & Steve might be the teams to beat. They are still Racing very well even with moments of frustration. I can see them going on a streak like Paul & Steve, even though I don’t really like it when one or two teams dominate a Race. Shane & Andrew – They were fun in Cuba. But back in Paris, they were wasting too much again trying to get from point A to point B. They need to tighten their game up and really start Racing. Sticky & Sam – Probably the roughest leg for them so far. We still have to wait and see how they recover, but we’ve never really seen them in a situation like this before where they have to come from behind. Should be interesting to see how they deal with it. Joseph & Grace – What is there to say? Grace said Paul was “so low… down to the floor” last week for accidentally bumping into her. But what she and Joseph did to James & Sarah was really the true TAR definition of “low.” That was poor sportsmanship and selfish… exactly what they’ve been saying about Paul who, let’s remember, has never stolen a taxi from another team or taunted another team and who’s only sin is being overconfident in himself (and being late to back it up.) TAR20 Vanessa, have been reincarnated as TARAu2 Grace? Do we even have to touch her comments about what good women are for? 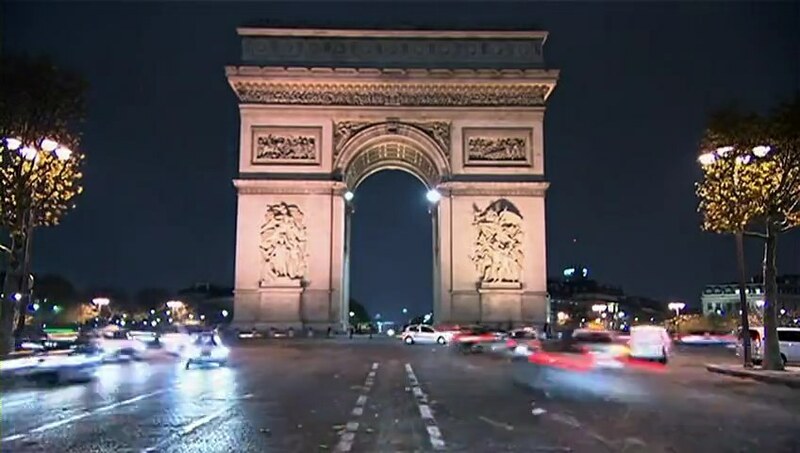 Paris starts out as a delicious city for the teams on the 7th leg of the Asian Television Award winning The Amazing Race Australia 2, but things quickly get heated between two teams before they all fly across the Atlantic for a big surprise.